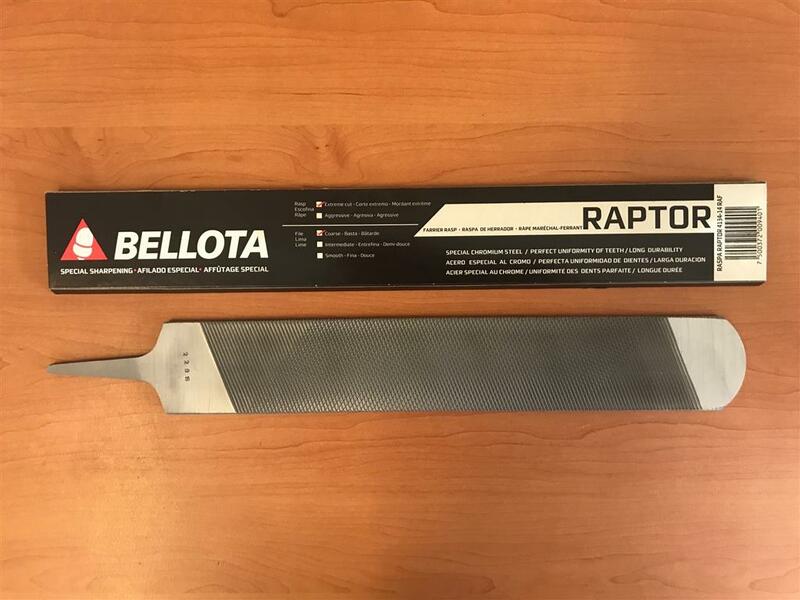 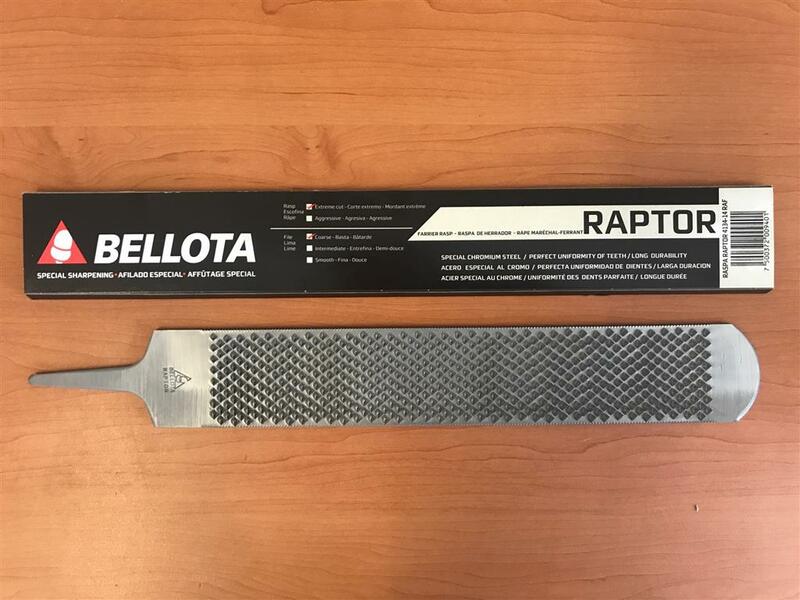 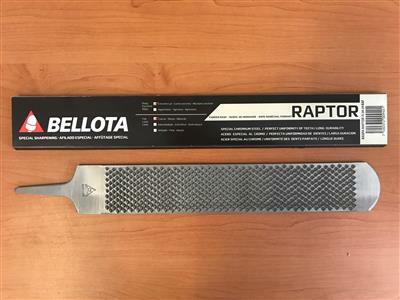 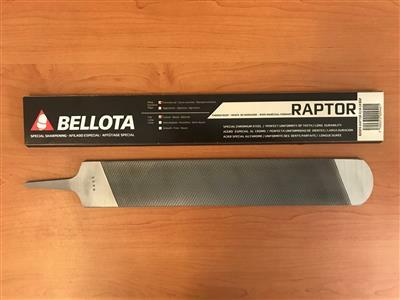 This new rasp is 14" long by 2-1/4" wide (Bellota Classic, Top Sharp and Razor rasps are 14" x 1-3/4"). 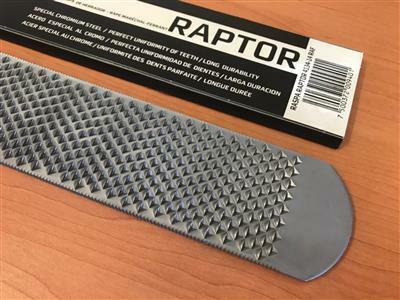 The extra width of this rasp provides a greater cutting surface. 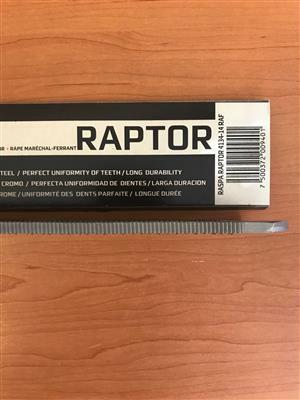 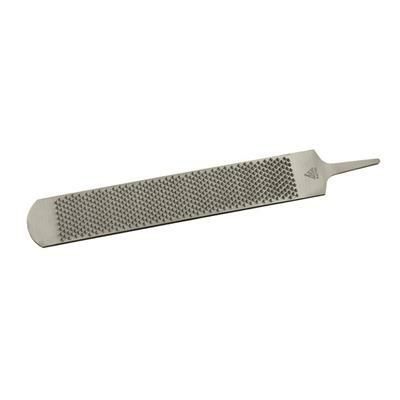 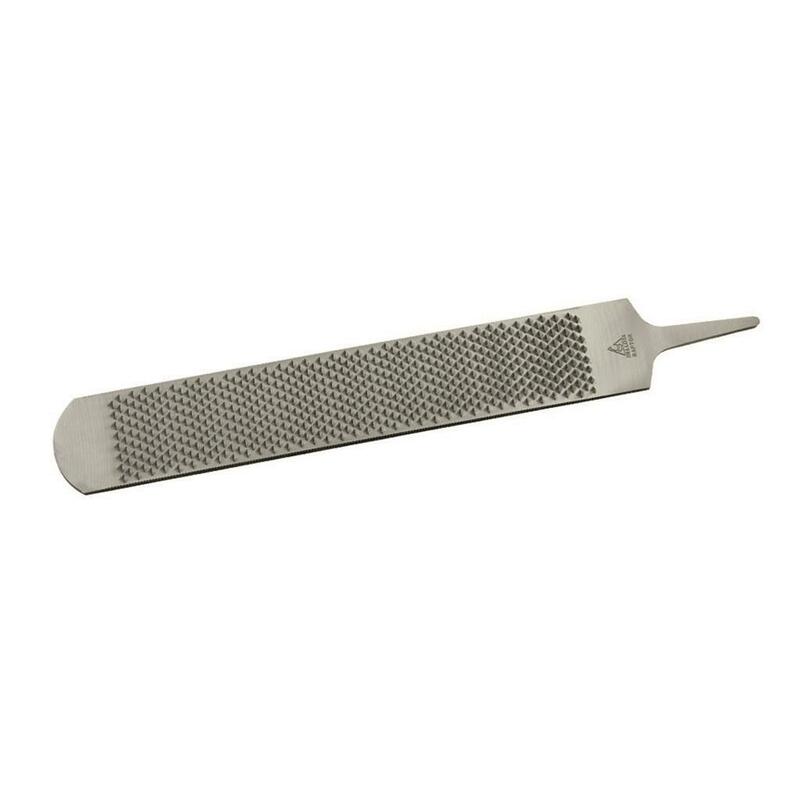 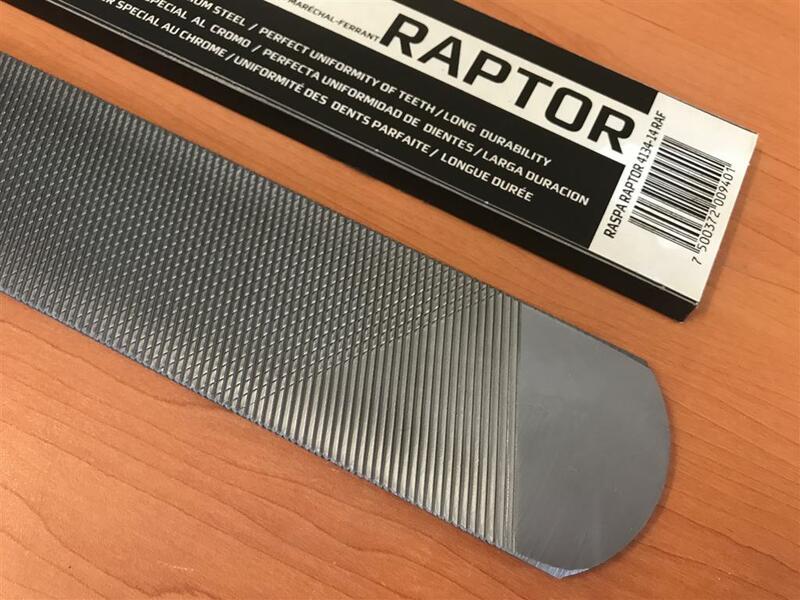 The Raptor features a maximum cut on the rasp side; with a coarse cut on the file side.